Rational magnetic head installing method of 3D construction conceiving. 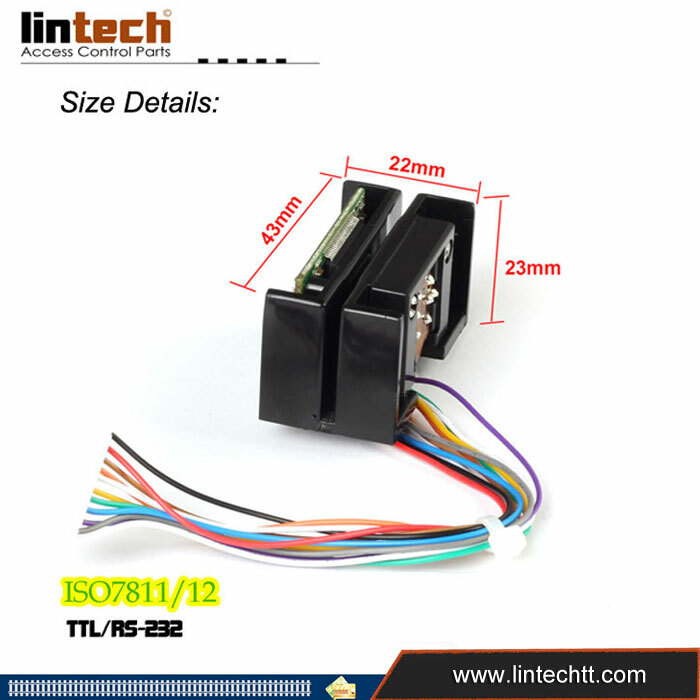 This product is hand swipe operated magnetic card reading module with TTL interface, also optional RS-232 decode board provided. This mangetic card reader module adopting high integrated magnetic card decoding chip. They have small electricity consumption and strong interference resistance. They comply with ISO-7811, 7812 magnetic card decoding standard completely. It can read card bi-directionally.Exquisite magnetic installation structure makes card reading more stable and reliable, which is our patented technology.Reasonable product design makes products small and compact, easy to assembly and integrate to your device.